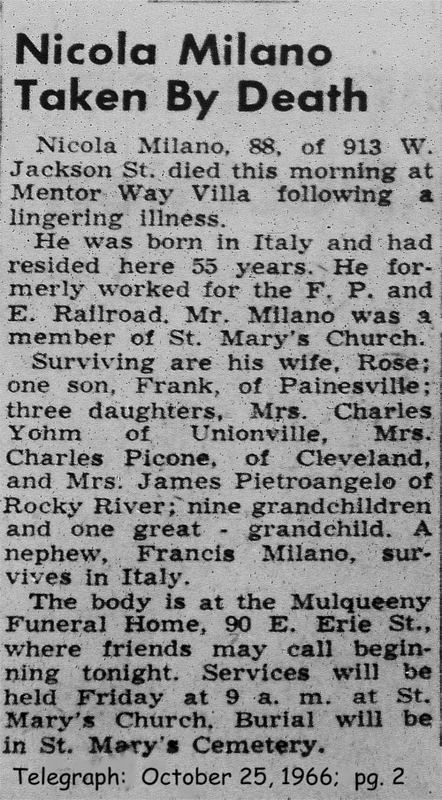 Nicola Milano first appears in the Painesville, Ohio, area in 1906 or 1907. In America, Nicola Milano was known as Nicola Milano. Nicola Milano was born on October 19, 1863, at Termini Imerese, Sicily. He married Rosa Urso, daughter of Salvatore Urso and Maria Sampson, about 1902 at Sicily. 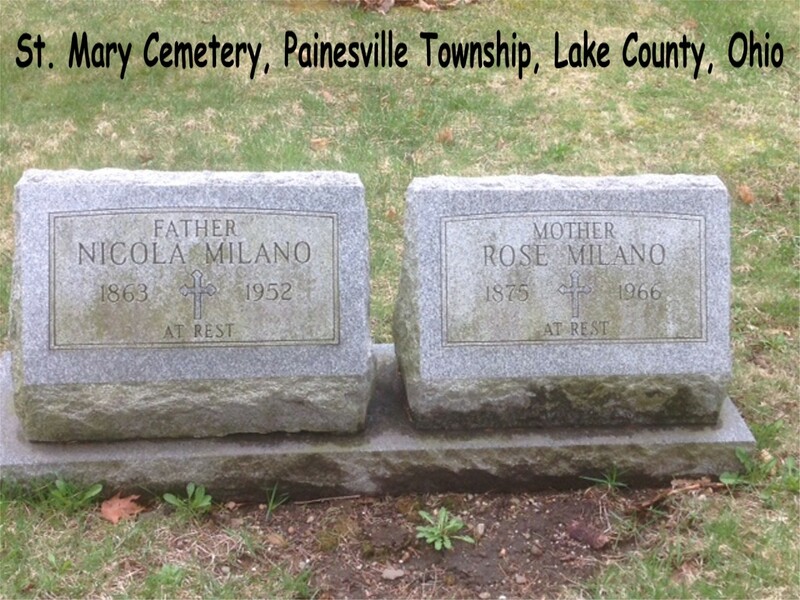 Nicola died on March 19, 1952, at Mentor Way Villa, Mentor Township, Lake County, Ohio, at age 88. His body was interred at St. Mary Cemetery at Painesville Township, Lake County, Ohio. 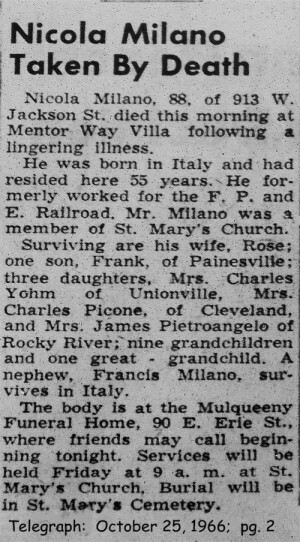 Nicola Milano immigrated to the United States in 1906. Nicola was retired from the FP&E Railroad. At the time of death, Nicola resided at 913 West Jackson Street, Painesville, Lake County, Ohio.